Auto Repair Brand Releases New Character into Online Video Series to Educate Car Owners. Cottman Transmission and Total Auto Care Digital Marketing Campaign Launches “Transmission Physician” for Drivers Auto Repair Brand Releases New Character into Online Video Series to Educate Car Owners. HORSHAM, Pa. – Cottman Transmission and Total Auto Care, revered across the nation for the honesty, and integrity that defines each and every customer experience, today announced that it has introduced a refreshing, new element to its consumer auto repair marketing…the transmission physician. In the age of smartphones and tablets, answers to any question are just a click or two away. But with so many opinions out there, how can concerned car owners get the right information about their transmissions? 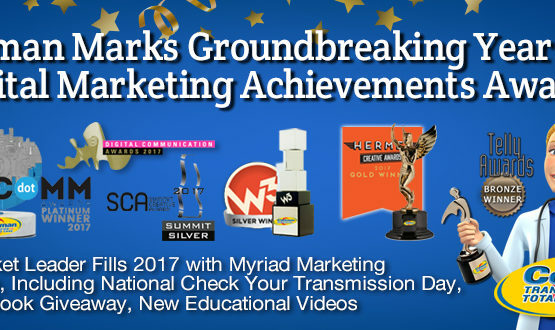 Enter Transmission Physician, an animated transmission expert who debunks common transmission myths and shares specialized, transmission-specific advice to drivers everywhere. The choice to add the female animated character to Cottman’s online video series, which includes another dynamically animated auto expert, the Cottman Man, comes as the brand prides itself on continued inclusion. Cottman aims to boost the representation of women as experts in the auto care industry, a place where they see major gaps in gender roles. Likewise, Cottman sees this as an opportunity to remind its loyal and new customers that it is a trusted provider of automotive services for any and every driver – male and female. At its core, Cottman centers are and always have been transmission specialty repair centers, dedicated to providing honest, quality service at reasonable prices to drivers everywhere. Transmissions, cars, and technology, in general, continue to change, and with it the consumer demand for information. This is where Transmission Physician comes in. 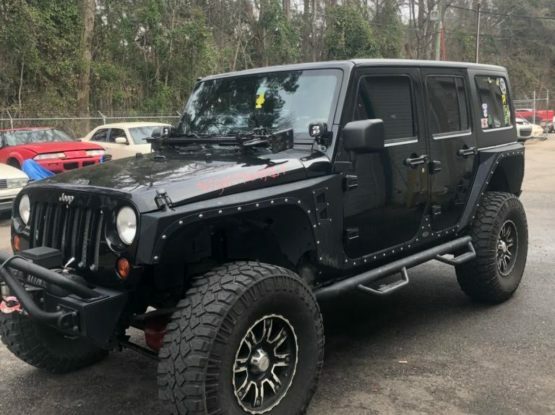 he Transmission Physician is a specialist in transmission technology and repair and explores topics through the video series such as checking the automatic transmission fluid (ATF), why transmissions are so expensive, the process of how a transmission works, rechecks and more. These videos are accessible via the Cottman website at www.cottman.com/Transmission-Physician/. As a continuation of the Cottman video series, it is a true resource to consumers who may be coerced into spending unnecessary money to completely replace a transmission, when a simple fix by an expert would suffice. The Transmission Physician animated character is a tribute to those women who already work in our industry which embodies owners, center managers and technicians alike. 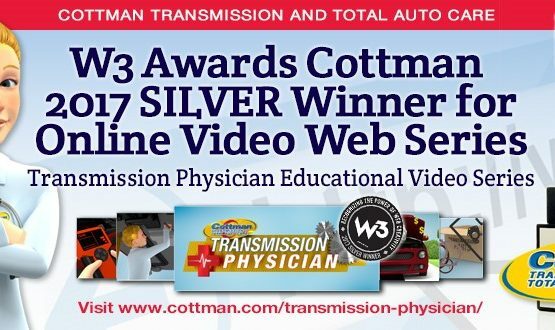 To view the Transmission Physician Video Series, visit www.cottman.com/Transmission-Physician/. And, to learn more about Cottman Transmission and Total Auto Care, please visit www.cottman.com. About Cottman Transmission and Total Auto Care With locations across the U.S., Cottman Transmission and Total Auto Care is a transmission and auto repair brand that services almost any make or model vehicle, foreign or domestic. Cottman Transmission and Total Auto Care centers specialize in complete transmission service, brakes, suspension, air conditioning service and much more. Cottman’s headquarters is based in Horsham, Pennsylvania. For more information, please visit www.Cottman.com and www.TheCottmanManBlog.com. Next Post Transmission Repair Tips – What Is A Fail Safe?